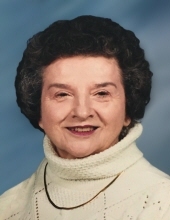 Mary Toland Paradiso, passed away Tuesday, March 26, 2019 after lightweight eighty eight years of a life well lived. She was born June 19, 1930 in Sault Ste. Marie, Michigan. A 1947 graduate of Loretto Academy, she attended the Soo branch of Michigan Tech in 1947 and 1948 on an academic scholarship. She went on to follow in her mother Gertrude Toland’s footsteps by becoming a Registered Nurse, graduating from Mercy School of Nursing in Toledo, Ohio in 1951. She married Aldo Paradiso on April 15, 1953 in the Soo at Holy Name of Mary Catholic Church. For the past forty years they were members of Assumption of the Blessed Virgin Mary church in Midland, serving on several commissions. She is survived by her son Mark, son and daughter-in-law Steve and Lynne, daughter-in-law Karen (Peter); sister-in-law’s Rita (Bernard) Toland, Tish (Donald) Toland, Dorinne (Richard) Pittman, and Phyllis (Albert) Paradiso; brother-in-law’s John (Pat) Paradiso and Tom (Pat) Paradiso; grandsons Peter, Joseph, Jacob, and Luke (Mark), granddaughters Krista and Nichole (Peter), grandsons Tyler and Cody Martin (Steve); and seven great grandkids. Mary was predeceased in passing by her oldest son Peter (1999), husband Aldo (2012), brothers John, Albert (Ted), Bernard, Tom and Donald. Special thanks to the staff at Colonial Villa in Midland. Mary so appreciated the kindness and care she received from everyone there, especially “my girls”. And thanks to MidMichigan Health Hospice Program for making her comfortable in her final days. Per Mary’s wishes to keep “any service for me simple”, services will take place at 11:00 a.m. Friday, March 29, 2019 from the Ware Smith Woolever Funeral Home, 1200 West Wheeler Street. Father Joe Griffin of Assumption Catholic Church will officiate, followed by entombment in New Calvary Mausoleum. Her family will receive friends at the funeral home on Friday from 10 a.m. until time of service. Those planning an expression of sympathy are asked to consider, rather than flowers, the donor’s favorite charity in Mary’s name. To plant a tree in memory of Mary Toland Paradiso, please visit our Tribute Store. "Email Address" would like to share the life celebration of Mary Toland Paradiso. Click on the "link" to go to share a favorite memory or leave a condolence message for the family.